Eastern Architectural Systems (EAS) provides a complete line of custom-made windows & doors: aluminum and vinyl, impact and insulated impact. Tested for strength and integrity, and built with style in mind, EAS windows and doors exceed the requirements and challenges of today’s discerning buyer. 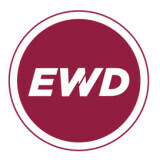 EAS is a manufacturer of Earthwise windows and doors, and all Earthwise products are Made in USA Certified ®. This means a lot to us: We believe in our country, and in the communities where we work and live. We are also the only manufacturer in Florida that produces Earthwise vinyl windows, the only vinyl impact window backed by the Good Housekeeping Seal. Causeway Lumber is a distributor of architectural building products for residential and commercial applications. We are product professionals specializing in Doors (Entry and Interior), Mouldings, Decorative Hardware, Windows and Specialty Timbers and Wood Products. We supply and install Miami-Dade approved Hurricane Impact Windows and Doors for residential and commercial buildings. We serve Miami Dade, Broward and East South Florida. We provide a superb quality installation and a wide selection of standard size and custom Impact Windows and Doors and Storefront Windows with the most competitive, economic and low priced estimates in the market. Our focus is to provide our customers with a wide selection of quality architectural hardware at attractive prices that can be ordered with confidence from the comfort of their home or office. High End Impact Windows & Doors specializes in the installation of impact resistant hurricane windows and replacement doors in Pompano Beach, FL and surrounding cities. We offer quality impact window and door products and provide professional installation to beautify and protect your property from serious storm damage and intrusion. Our company name – High End – was chosen to reflect the unparalleled level of service, installation, and quality products we provide each and every impact window and door client. We are licensed, insured and bonded and serve Miami, Broward, and Palm Beach counties for residential and commercial projects. We offer a large selection of impact resistant windows and doors from premier manufacturers such as: Windoor, Eurotech, Korus, CGI, TM Florida’s Best, PGT, and more. With a High End installation there is nothing for you to complete. We repair exterior stucco and interior drywall or plaster as necessary and install customized marble thresholds or wood trim ensuring a great looking finished job. 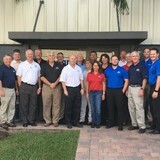 Whether it be offering advice on new product innovation or existing technology relevant to Southern Florida climate, our recommendations come from years of practical hands-on experience and previous customer satisfaction. With consistent performance, we have built strong alliances with the manufacturers. Some of the best windows and doors in the industry are made right here in Broward county. Aluminum or Vinyl frames, Insulated glass, Solar tints...as technology changes we’ve done the homework for our customers so they may benefit from what is practical and cost effective. High End Impact Windows & Doors is A+ rated with the Better Business Bureau. Call us today at (954) 782-7100 for a free in-home consultation! Carbonneau’s home repair company is a locally owned company and has been operating in Tri-county area since 1974. Our company has established a solid status through provision of top quality home revamp services in this area. Carbonneau’s home repair company has professional craftsmen who complete your job in a timely manner while maintaining a clean, neat, professional working environment. We deal with various kinds of home improvements and repairs such as windows repair, door repairs and even screening of tenants for your rental houses. As you are aware, there are many home repair contractors available in the county area but there non that can compare to carbonneau’s Windows and Doors Company. We are confident of giving you the best services on your doors and windows thus leaving you satisfied. In addition, we ensure that your instructions are followed to the letter by giving our customers the outmost attention. 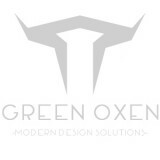 Supplying Luxury Architectural Products in South Florida and throughout the Caribbean since 1985. Specializing in high end windows, interior and exterior doors, hardware, and decorative plumbing fixtures. Broadest range of contemporary and sliding door solutions in North America. •Gulfstream Windows & Sliding Doors is a family owned/operated, state certified, glass and glazing contractor with over 30 years experience. As a business, our main priority is to uphold the best interests and satisfaction of our clients. We are your one-stop service providing both repair AND installation of windows and doors. We work with various manufacturers to ensure the best pricing for each project’s requirements. Our staff is convinced that constant commitment and communication with clients sets us apart from other options. Additionally, we can proudly say our installers are top-notch master craftsmen with exceptional professionalism. We repair and install both impact and non-impact products. OUR PHILOSOPHY. OUR COMMITMENT. The essence of truly good modern design is not only defined by how a product looks but also by the thoughtfulness of the engineering and the quality of the construction behind it. Our business is dedicated to offer nothing less than good modern design together with excellent customer service and exceptional value. This is our philosophy… this is our commitment to you.